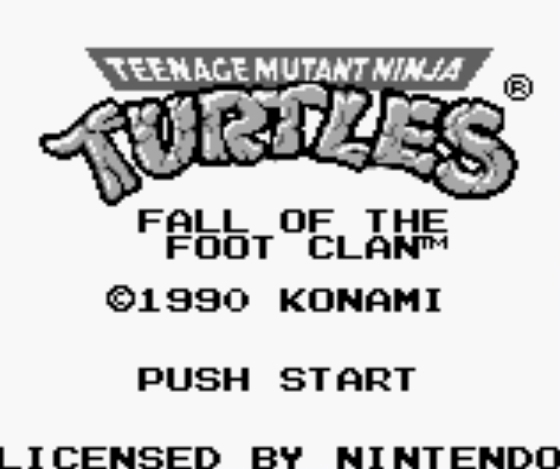 OverviewIn the Turtle's first adventure on the Game Boy, you must play as them to defeat Krang, Shredder and any evil minions that stand in your way. 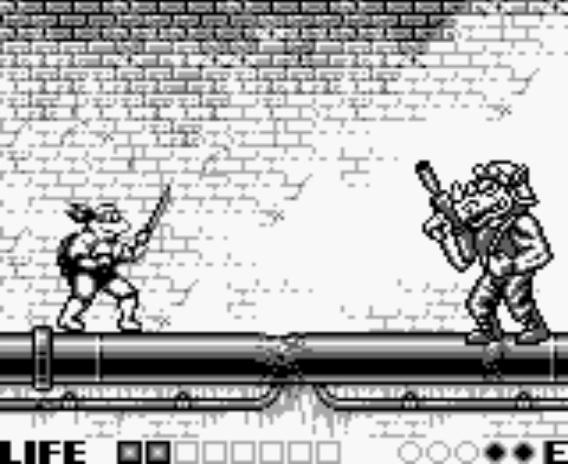 The game uses simple platforming mechanics. 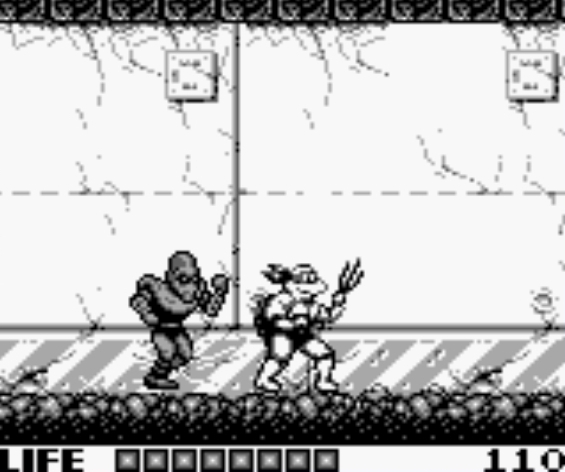 The player takes control one of the Turtles through a total of five stages, battling Krang and Shredder's minions along the way. Enemies include Foot Soldiers, Mousers and Roadkill Rodney among others. 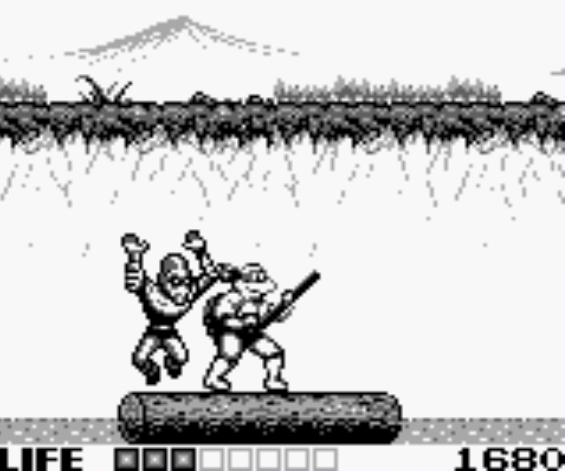 If a Turtle runs out of health, he is captured and the player must select another Turtle to pick up where he left off. 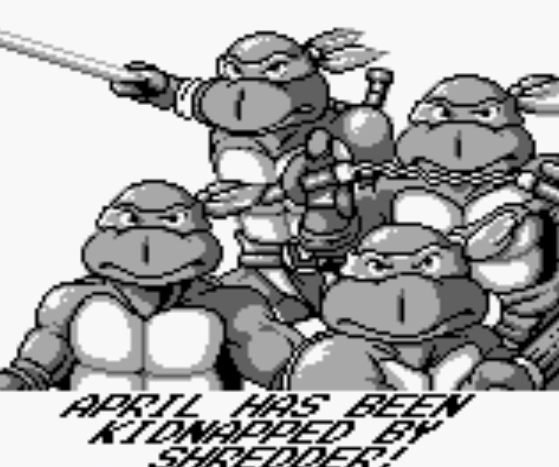 If all four Turtles are captured, the game is over. 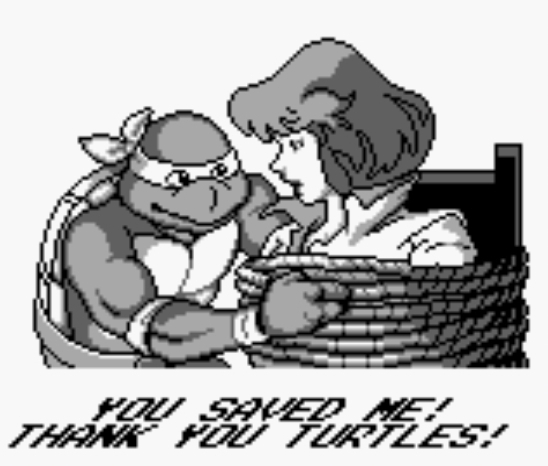 One can recover a captured Turtle, as well as regain lost health, by winning the hidden mini-games scattered throughout each stage. 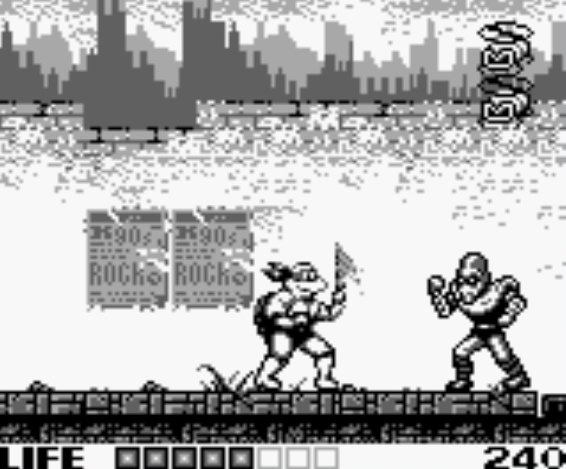 The player can also recover health by finding pizza, which is located in certain locations or dropped by defeated enemies. 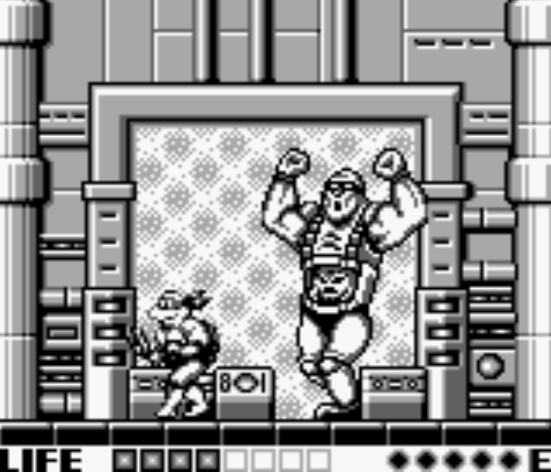 There are a total of five stages, each with a unique end-boss. 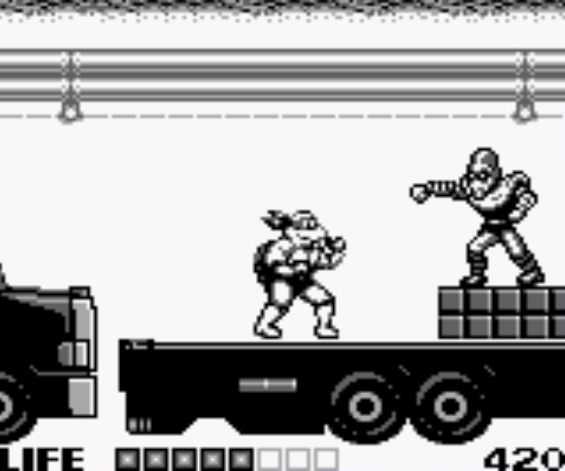 The player can choose which stage to start the game on, but the game needs to be completed from Stage 1 to see the full ending. Now you can add videos, screenshots, or other images (cover scans, disc scans, etc.) 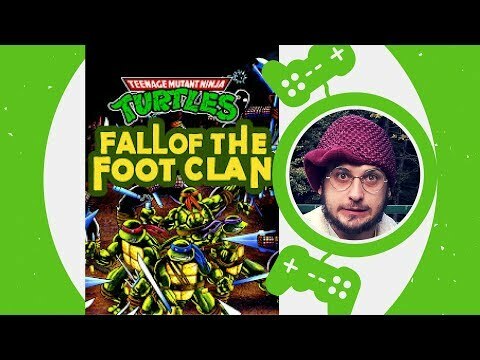 for Teenage Mutant Ninja Turtles - Fall of the Foot Clan (USA) to Emuparadise. Do it now!